Home > Walgreens > Walgreens B2G2 Toy Sale = Toys for $2.66 Each!! Walgreens B2G2 Toy Sale = Toys for $2.66 Each!! Starting Sunday, Walgreens is offering up their popular Buy 2 Get 2 FREE sale on select toys priced at $6.99. Plus you can earn rewards points back!! 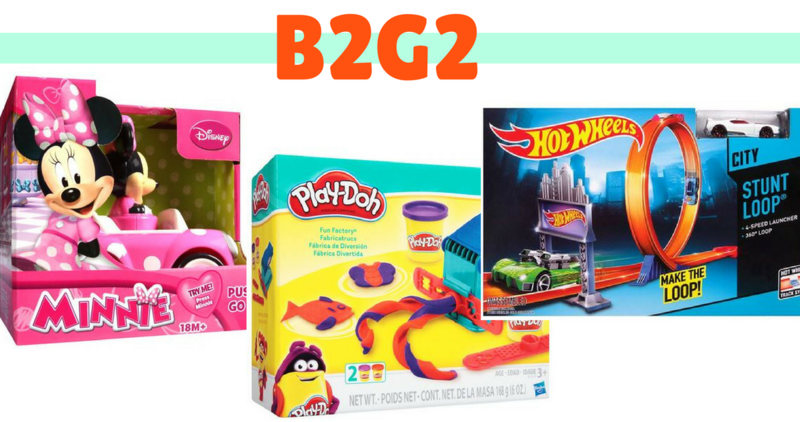 Get toys as low as $2.66 each after the rewards! There are lots of popular brand to choose from like – Hot Wheels, Disney, Alex Toys and more. Be sure to shop early to get the best selection. Plus, they are offering up Balance Rewards points on every purchase Sunday through Tuesday! Get up to 30,000 Bonus Points ($30 off) with the in-ad coupon that will be available in the weekly ad Sunday. Extra bonus points offer ends 12/4. See more the full Walgreens Ad for more great deals to grab.